to move at your own pace, it’s never more than you can handle. In fact, we’ll meet you where you are and help you gain strength, flexibility and balance. 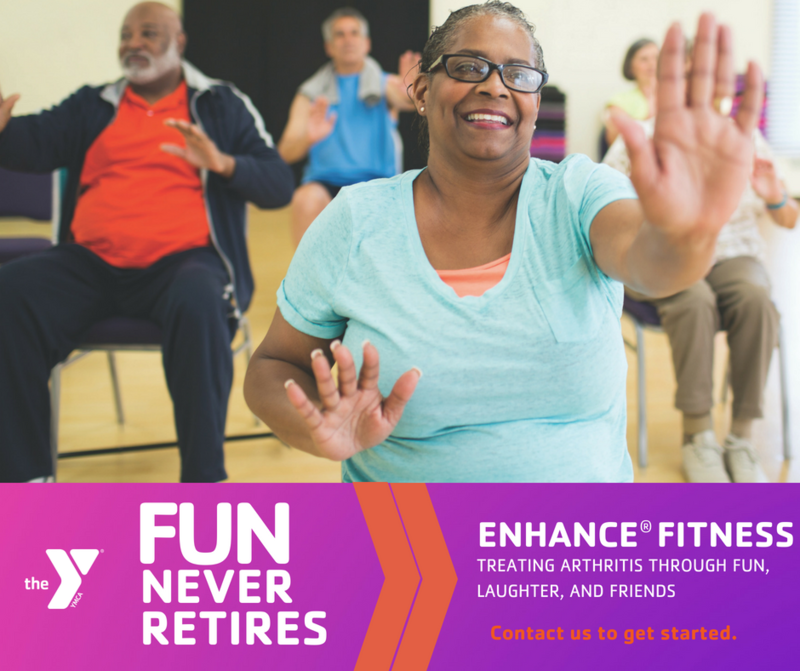 Our aim: To help you feel better EnhanceFitness is geared toward older adults, and those with a chronic condition, such as arthritis, need not worry; you’ll never have to do anything that hurts. We have chairs you can use for support, if necessary. When you’re ready you can add soft ankle and wrist weights to your workout. • Classes meet three times per week for 60-minutes each. • Some people will be standing, some will be seated—and some will use the chairs to hold onto for support. • You’ll notice that participants move at a pace that’s comfortable for them. • The class focuses on strength, flexibility, movement and balance. • You’ll make friends who will support you and cheer you on. Research has shown that among older adults who participate in EnhanceFitness, health costs were lowered each year by close to $1,000. It’s no wonder 9 out of 10 people stay with the program. In Your Community EnhanceFitness has been nationally recognized by the Centers for Disease Control and Prevention, US Department of Health and Human Services, US Administration on Aging and the National Council on Aging.